I mentioned last time that when we look through the lenses of love, we see God’s justice as redemptive and restorative, rather than punitive and retributive. 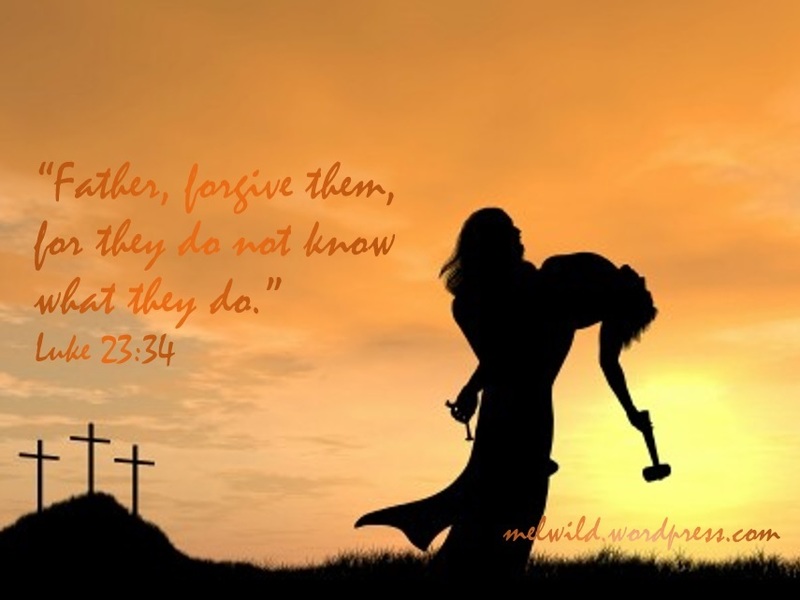 This is not well understood in our Western view of the atonement, but we can see restorative justice demonstrated beautifully in the death, burial and resurrection of Jesus Christ. I’m only going to summarize here because I’ve covered this in depth in the past. I will refer you to those posts as we go. Restorative justice is a higher form of justice because it’s not about punishing the perpetrator; it’s about restoring both the perpetrator and the victim. Here’s how we should interpret what’s going on at the crucifixion. The Father—BECAUSE OF HIS GREAT LOVE—was IN His incarnate Son, allowing us to crush Jesus, allowing all of our iniquities to be fused with the Divine Nature, so we could be healed and brought back into perfect union with Him as Christ is in perfect union with Him. The word, “reconciled” means to restore, or bring into harmony by exchanging something of equal value. Beloved, not only did God restore you to Himself, He loved you SO MUCH that He gave Jesus (John 3:16), which means you have equal value to Him! Yet, the Father, who had enjoyed unbroken fellowship and other-centered love with His Son from eternity, would not leave Him as a victim, wounded because of our transgressions. For, as He was in Christ during the crucifixion, His Spirit was working mightily in Jesus when He raised Him from the grave! We actually see God restoring the victim—Jesus—in Isaiah 53:10. Unfortunately, we (in the Latin West) have misread this passage for centuries because of the way it was translated. When looking at the oldest account [Septuagint (LXX): the Scriptures used by Jesus and the apostles], it’s actually telling us that it pleased the Father to heal Jesus of His wounds that we inflicted! As Jesus took our disease and healed us, the Father cleansed the Son of His Love. So, in the death, burial, and resurrection of Jesus Christ, we see God’s restorative justice beautifully on display. Why is this important? Because you’re NOT a pardoned criminal. You are a NEW CREATION! Pardoned criminals aren’t transformed and changed, but you have been fused into Jesus Christ! Your life is now HIS life. Your righteousness and holiness is HIS righteousness and holiness. Because you’ve literally been placed inside of Christ in the heavenly realm, you’re not an orphan anymore; you’re God’s beloved son or daughter, the same way Jesus is His beloved Son! Precious sought out one, do you see this? Open your heart and mind to this glorious reality. This is what Easter means. By His stripes you were healed (Matt.8:16-17; 1 Pet. 2:24). You died and rose again with Christ, and now your life is hidden in Christ in God (Col. 3:3). Praise God! O Happy Day! What a glorious Day! We have a good, good Father! This entry was posted in Father Heart of God, Love, Sonship, Worship and tagged atonement, Christianity, Easter, Happy Day, Holy Spirit, Jesus, Reconciliation, Restorative justice, Salvation. Bookmark the permalink.